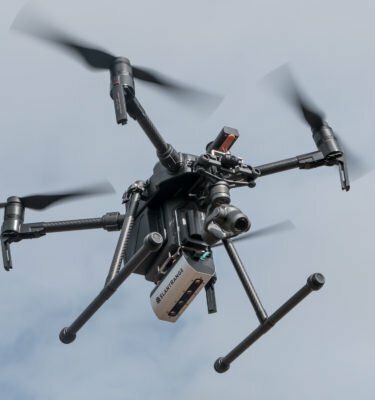 The RedEdge MX is the best tool for Agricultural companies, service providers, researchers and academics that need a reliable, accurate, high-precision sensor for aerial mapping by drone. It provides 5 separate and full calibrated spectral bands (Blue, Green, Red, Red Edge and Near IR). Incoming light sensors and calibration panels are included to make sure the data collected is accurate and repeatable across different lighting conditions. 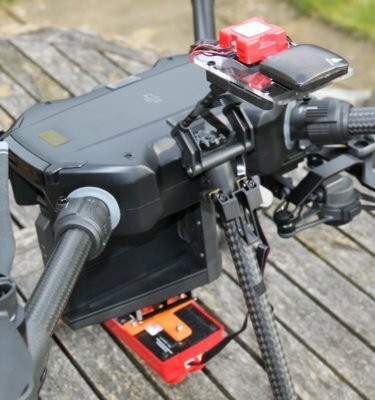 The RedEdge MX is designed to easily integrate into multiple types of drone system, both fixed-wing and multirotor. The Red Edge MX DJI verison is plug and play with the DJI M200 series via SkyPort. 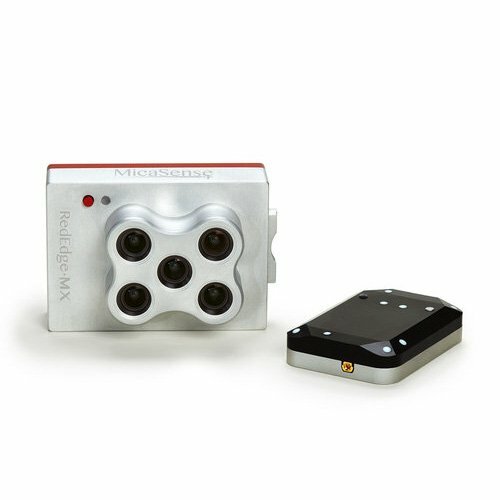 The data output (5 band GeoTiFF) is designed to be compatible with many types of software, and works very well with Pix 4D. 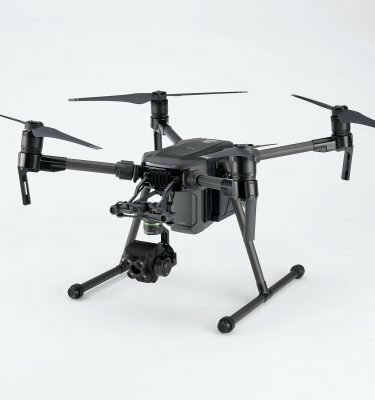 You’ll need a drone of some sort, if you dont own one, talk to us. 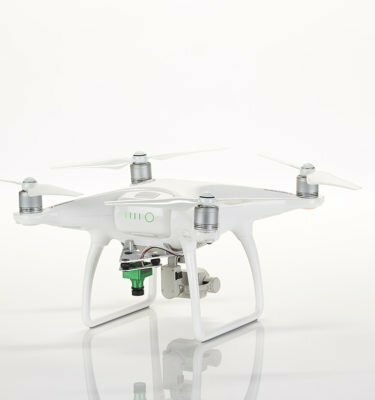 You’ll also need software to automate the drone flight for data collection, such as DJI GSPRO. You’ll also need to process the data. We recommend Pix 4D Fields. 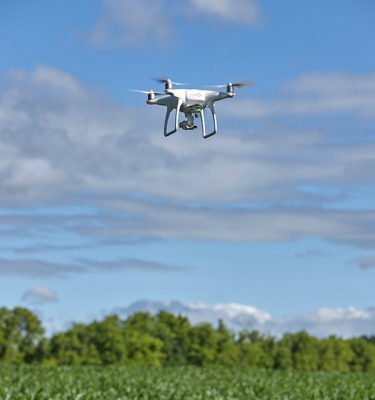 If you don’t have much experience with using drone systems for mapping on the farm, we highly recommend training. You can add a days training with us in the options, or contact us to build a bespoke training package. 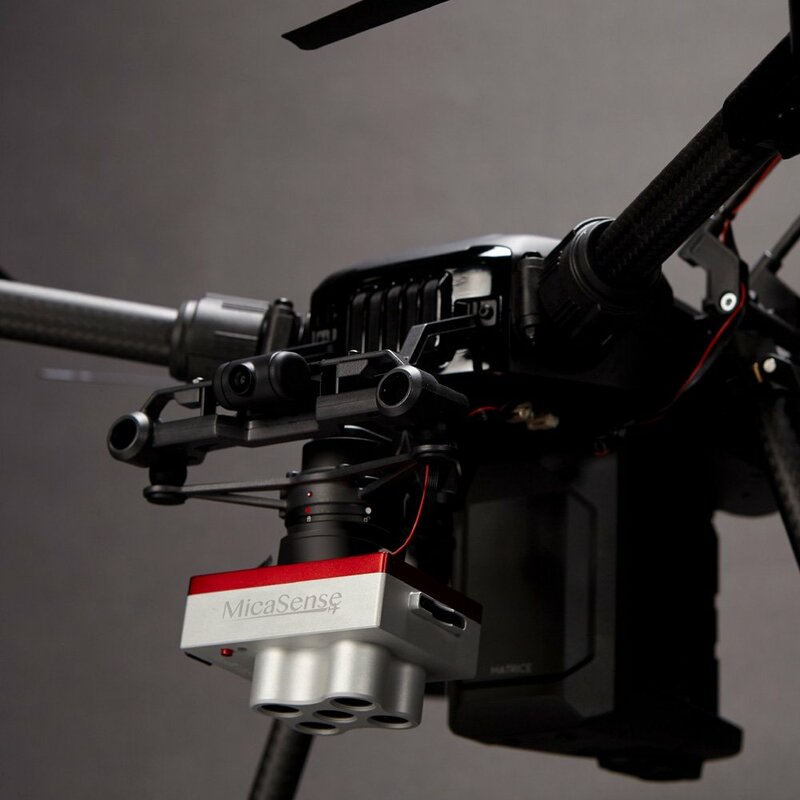 The Micasense Red Edge MX is a proven, built-to-last multispectral sensing system. 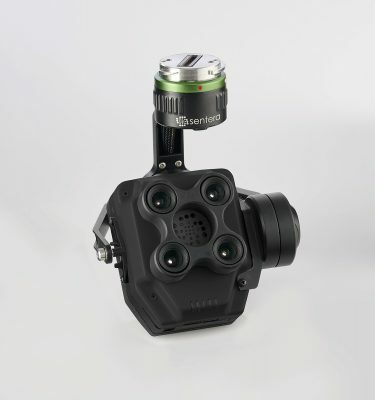 It provides scientific level data that addresses real world problems as well as being perfect for R&D applications in precision agriculture. 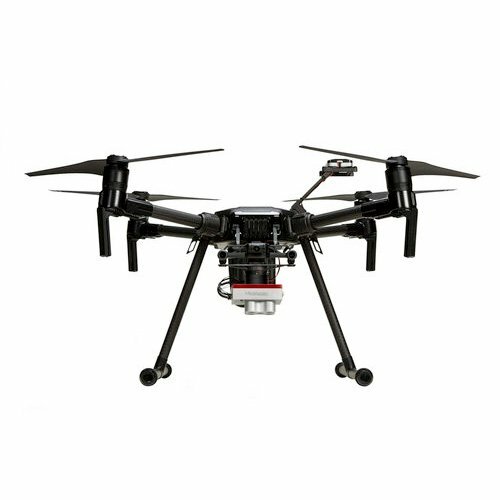 Easy and flexible integration options, including plug and play version for DJI M200. Calibrated for precise, repeatable measurements. Capable of generating RGB color images aligned with 5 specific spectral bands. 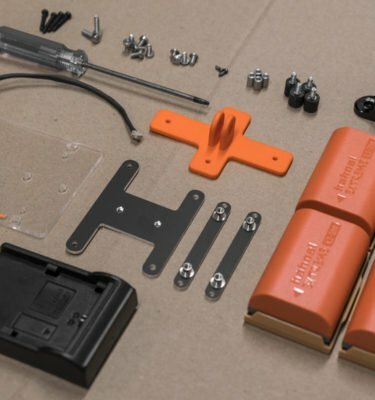 RedEdge-MX is built to last with quality materials. 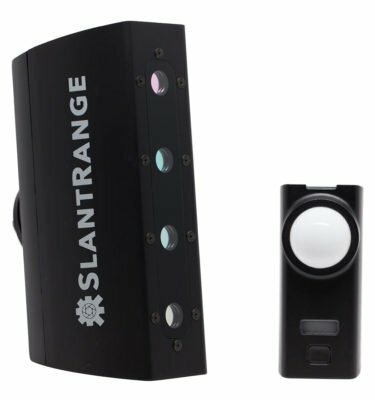 Kit includes a Downwelling Light Sensor and GPS (DLS V2.0), calibrated reflectance panel, and hard carrying case.